This entry was posted in Non-fiction and tagged book review, books, CERN, Collider, elementary particles, Higgs boson, LHC, Particle Physics, Paul Halpern, Physics. Bookmark the permalink. sounds so high-brow! is it purely technical or novel-tinged? It’s certainly not purely technical, but it has a lot of short biographies in it and gives the topic more of a human interest angle. 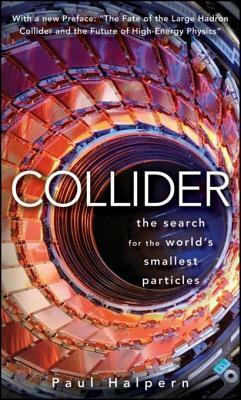 And the book doesn’t go into great detail about the scientific and technical side of particle physics and accelerators.